Whether you are an amateur or a pro photographer, you’ve probably known the agony of a potentially good missed shot because you didn’t have your camera handy, and hopefully you’ve also know the ecstasy of getting an unexpected shot because, well, you had your camera with you despite not planning on shooting anything. 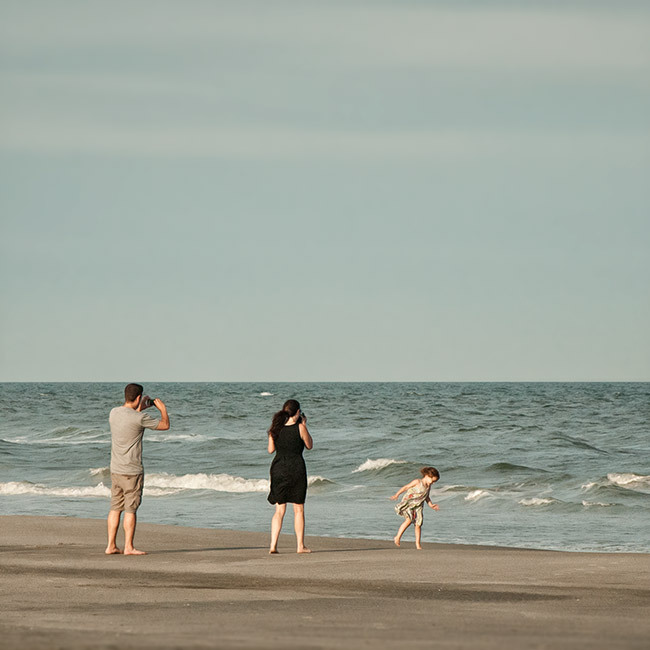 I’ve experienced both scenarios, and most recently I was quite happy (if not, ecstatic), to have had my Nikon in hand when I spied a mother, father, and daughter strolling along the beach in Wildwood, New Jersey. The resulting shot is below.